This Vegan Pot Pie is surely one of my most popular recipes. Every week, people write to tell me how surprised their friends and family were upon finding out that this recipe contains no meat. You can freeze either baked or unbaked. Thoroughly rinse the millet, then drain.In a large pot, heat 2 tablespoons (30 ml) over medium heat, then add the millet and cook for 2 minutes.Add the water or vegetable broth. Bring to a boil, lower the heat, cover, and simmer for 15 minutes. Remove from the heat and let rest, covered, for another 15 minutes. In a large bowl, combine the flour and the salt. Using a pastry cutter or two knives, incorporate the butter into the flour until you reach a coarse mixture with pea-sized butter chunks. You can also use a food processor. Gather the dough into a ball and wrap into plastic wrap. Refrigerate for at least 30 minutes. Boil diced potatoes and chopped carrots for 4 minutes. Drain and reserve. minutes, stirring from time to time. Stir in the soy sauce, tomato paste, garlic, maple syrup, cloves, cinnamon and nutritional yeast vegetable broth. Season with salt and black pepper and cook forr another 2 to 3 minutes. Remove from the heat, then stir in the cooked millet, breadcrumbs and plant milk. Divide the pie crust into portions according to the number of pot pies you want to make. plate. Repeat to prepare the remaining pie plates. Bake for about 45 minutes, or until the pies are golden brown. Serve hot. I can’t have millet. What could be a suitable replacement. Why is there an asterisk beside the mullet and no note??? Can you use quinoa instead? It might work, it’s to refer to the recipe! REALLY good recipe! I did half the quantity & it made 1 pie enough for 5. I also replaced the millet with boulghour. Help!?! I was going to make this for Thanksgiving, then my oven broke. Is it possible to make this in my crock pot?? Do you think that one pie could be frozen before cooking to be eaten at a later date? Thanks! Sure, i like to freeze it before baking it but you can also freeze it pre cooked or cooked. Have you garnished it with a vegan ice cream ? Looks yummy. Why is it being served with jam and icecream in the photos? Think I might do this for Christmas meal. If I make it in a loaf tin, it can be ‘carved’ at table, like a meat (shudder) roast. Great recipe, thanks BC. I used Barley and it was amazing! What can I use instead of breadcrumbs? 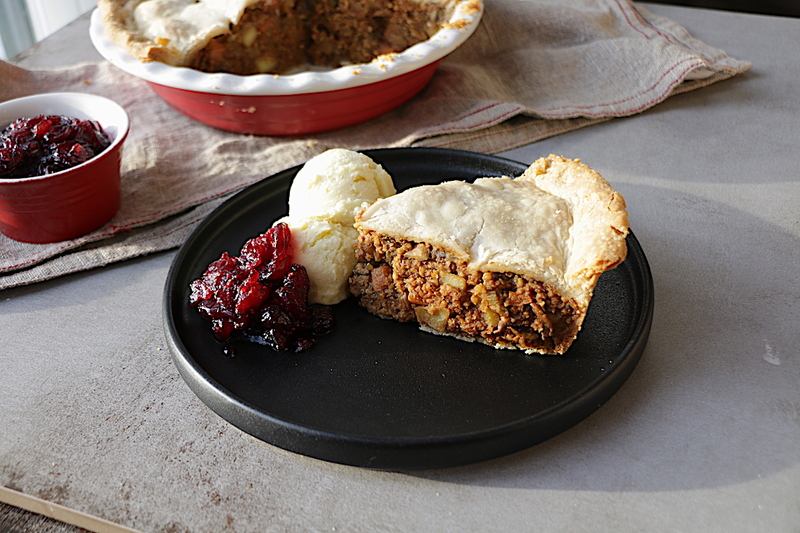 This recipe brings back great memories of my grandmother’s meat pies. Great texture in the filling and delicious. I was surprised how easily it came together. Appreciative of you sharing your recipes.